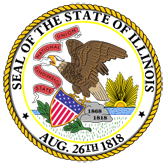 May 3, 2006, the IL House of Representatives passed the state budget for fiscal year 2007. The House Republicans have released the House GOP Minority Report detailing this year's budget. 1. The Democrats Borrow and Spend Budget (20060912184544_HouseGOPMinorityReport.pdf).